My weight problem began at the age of 5. My parents split and moved away leaving my grandma to raise me. At that age, going through school was tough. Seeing all of my classmates and their parents coming in to support them. My grandma worked 3 jobs to put me through private school and give me the best life she could. I turned to eating. I would sneak in snacks daily. During my school years, I continued gaining weight. 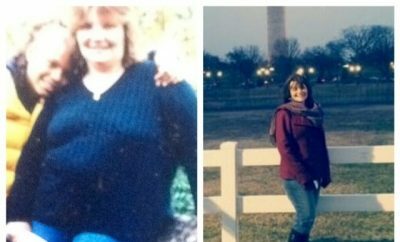 My weight had a huge impact on many areas in my life. My family would always have some type of intervention with me during my teenager years. For family gatherings I would always be locked in my room. I got 2 jobs my senior year in high school. I would work late and would end all my nights eating out. I was shy and self-conscious, but I felt comfortable around my small group of friends. 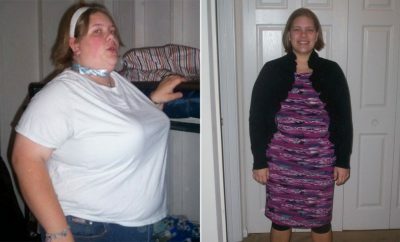 I have made so many attempts on weight loss for as long as I can remember. My turning point was New Years Eve 2015. I realized my 30th birthday was the following year and it was time to make a change. 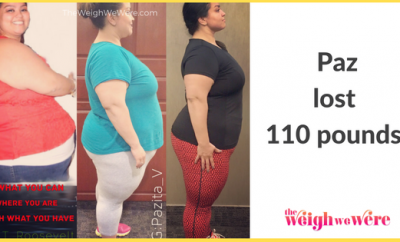 I realized after so many failed attempts, my last resort was weight loss surgery. I began doing a ton of research and seeing how much my life would change. I want to make sure I could still have a love for food, but have healthy alternatives. I saw results right away. One of the major challenges I had to overcome was not being able to turn to food for comfort. I always keep busy and active. Instead of turning to food for happiness, I created a reward chart non-food related. In increments of every 25 pounds lost, I would reward myself ie. spa day, new shoes, etc. There are times I do want to give, but I look at my older photos as a reminder of how far I have come. 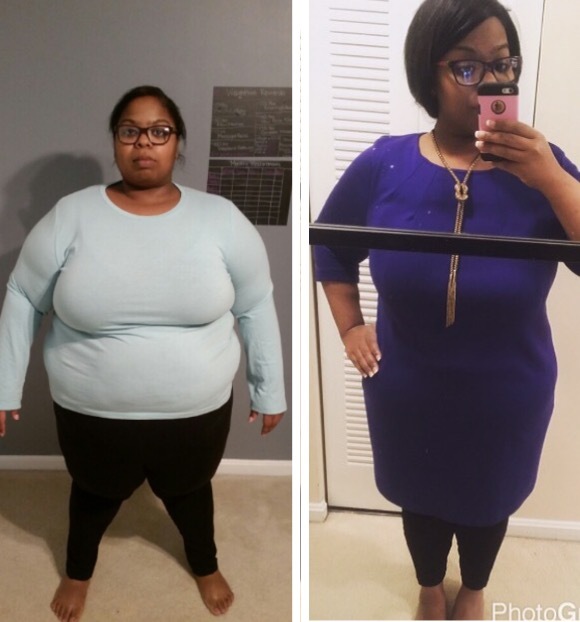 I hit several weight loss plateus over the course of my journey. I overcame them by using Facebook. I realized there had to be a ton of more individuals that were experiencing a plateau as well. I came across hundreds of individuals and began using creating events on Facebook to break our plateaus. I connected with indiviudals across the U.S. and internationally to go back to the basics. The basics consists of consuming drinking protein shakes and a protein meal once a day. I was able to create some really great friendships by doing these. The group is actually planning a retreat this year to all meet up and actually have a weekend trip. My surgery was March 22nd and I’m currently approaching my 10 months post op. I have so many non-scale victories. I am able to fit into smaller clothing, smaller shoe size and no double chin. One of my biggest non-scale victories is surprising my family back home in Louisiana. No one knew I was coming for a visit and none of them recognized me. My eating habits were not the best. I would eat late at night. By my grandmother working with a strict budget, I was always used to eating canned vegetables. Living on my, eating veggies was really rare. I was definitely an emotional eater. I would eat when I was happy or sad. Fast food was perfect for me since I am constantly on the go. My physical activity consisted of going to Zumba multiple times during the week. I never really was a fan of working out, but when it comes to dancing I am all for it. I love to dance and it never feels like I am actually working out. Dancing gives me a great workout. Figure out your goals. If necessary use a huge poster. This keeps you focused on what you need to do to accomplish your goals. Reward yourself. I found that non-food related rewards keep you motivated to push yourself even harder. Have a great support system. When you have people around you that can relate, it makes the journey so much easier. 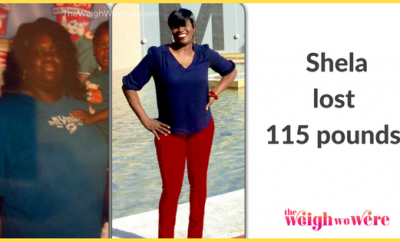 Next Story → “I realized I was halfway to 500 pounds.” Lori lost 105 pounds.